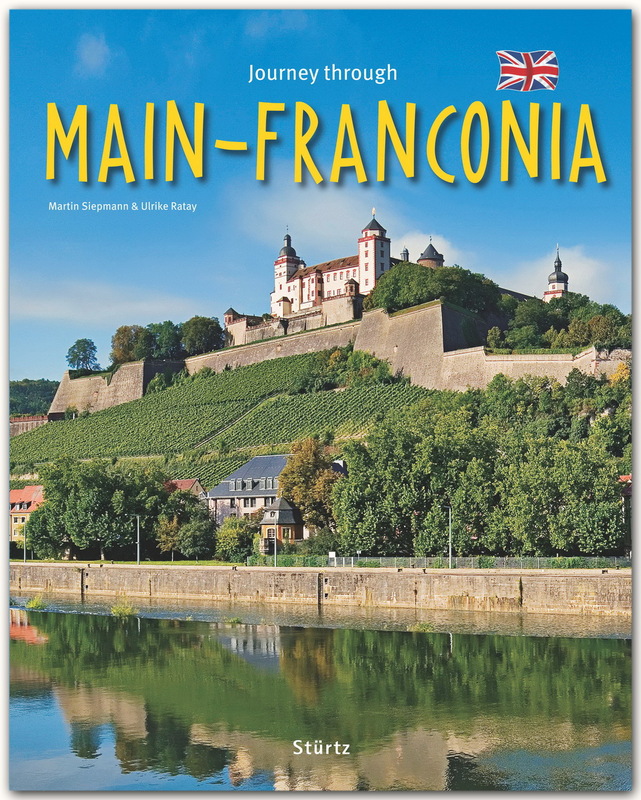 "Franconia is a land blessed", claims Johann Wolfgang von Goethe and places Maria's palace in his drama Götz von Berlichingen on the banks of the River Main. Franconia's chief river literally plays with the scenery on its long journey from east to west, forming bends and curves, carving its way through the mountains of the Fichtelgebirge and the elevations of the Steigerwald and Haßberge before meandering through the dense forest of the Spessart. 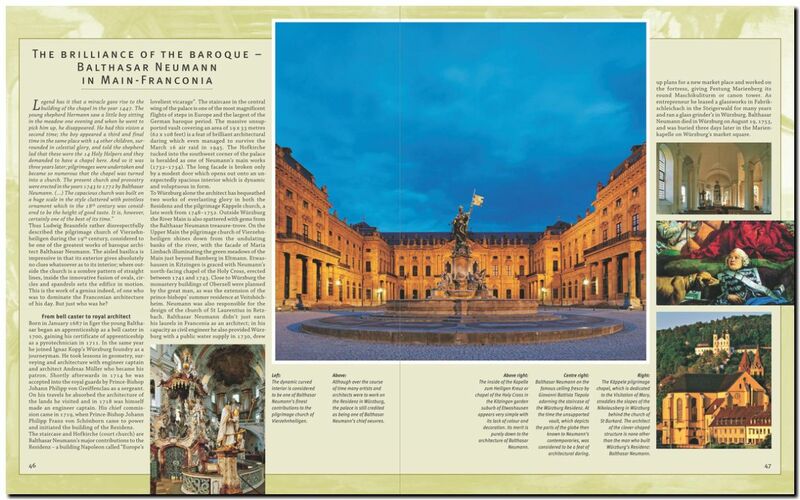 Cultural monuments line its lush banks like a veritable string of pearls, among them the ancient cities of Bayreuth, Bamberg, Würzburg and Aschaffenburg, the walled medieval towns of Dettelbach and Sulzfeld, many castles and palaces, such as the Plassenburg in Kulmbach and the world-famous residential palace in Würzburg, and a host of famous monasteries and churches, among them Banz and Vierzehnheiligen. 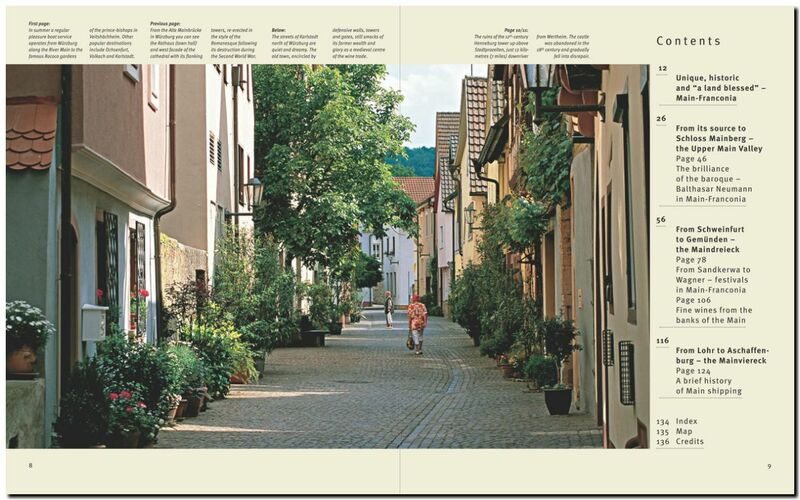 From the sources of the Roter and Weißer Main to the Maindreieck and Mainviereck to Aschaffenburg, Main-Franconia is portrayed here in over 180 photos, with four specials on baroque architect Balthasar Neumann, the area's many festivals, Franconian wine and the history of Main shipping.